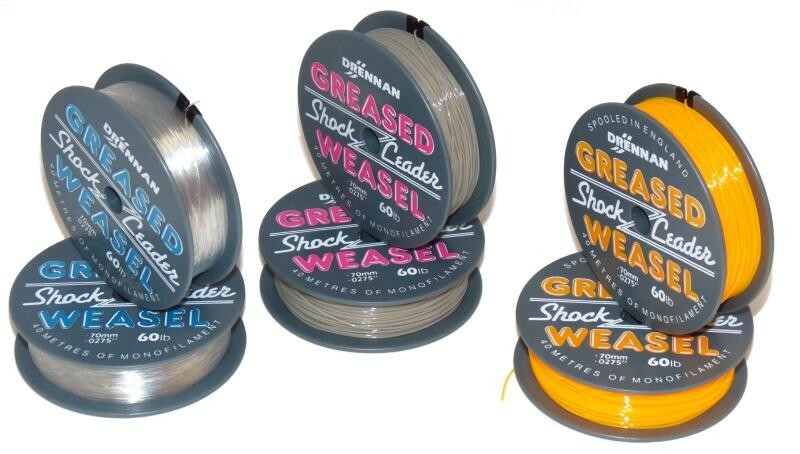 Drennan Greased Weasel 40M Here at Reel Fishing Greased Weasel is our number one selling Shock Leader . It has always had a great reputation for suppleness and knot strength. Greased Weasel also makes a great Rig Body. FREE Delivery on all Drennan Shock Leader/Rig Body/Hook Length over £100!! !